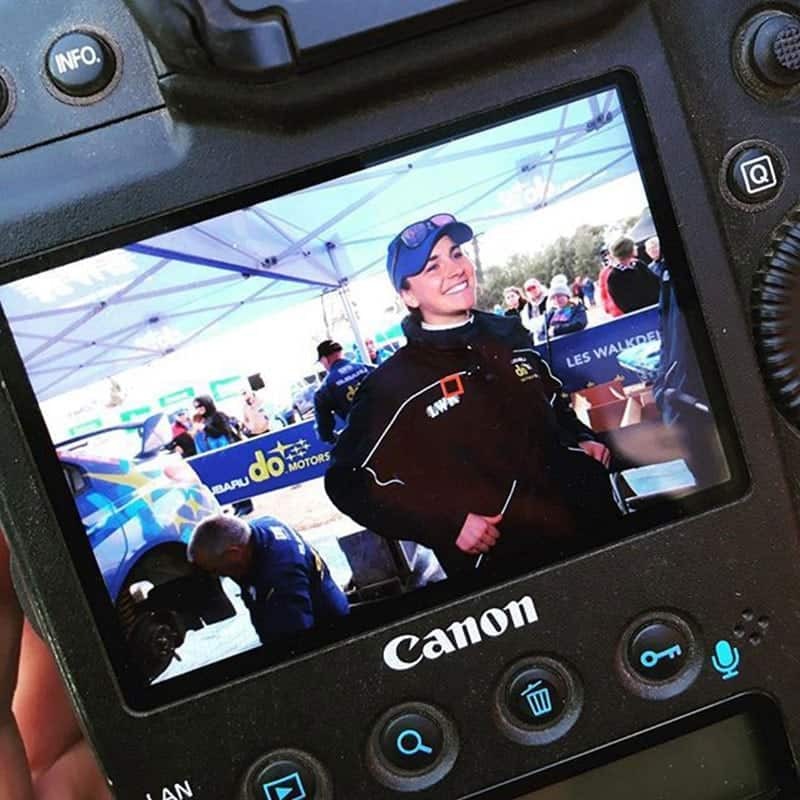 Having spent time at the National Capital Rally in Canberra a couple of weeks ago, it became clear to me that Molly Taylor is doing things for Subaru Australia that stretch well beyond the stages of each rally. A walk around the service park during the Saturday evening service of the rally made it obvious to me that Molly is well worth her weight in gold for Subaru. And this, despite her not achieving the desirable results in 2018 that the team would probably be hoping for. 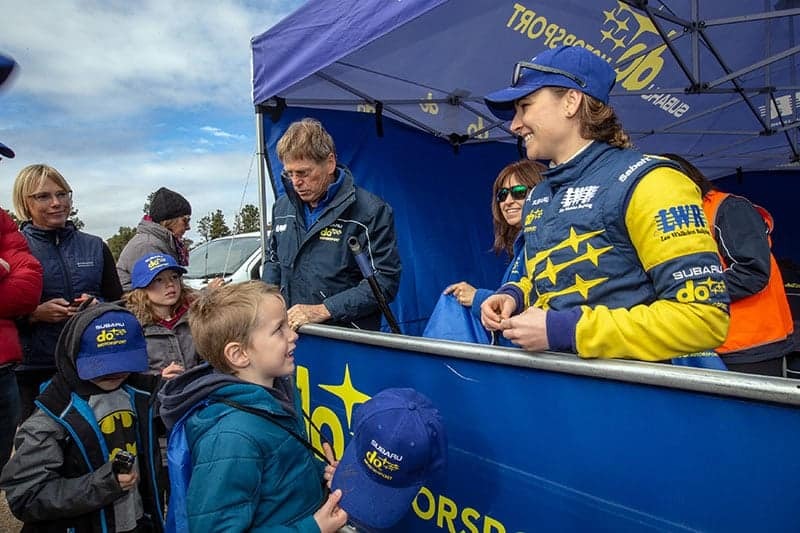 While her car is being serviced, Molly is out the front of the Subaru service area, giving kids free Subaru merchandise, signing autographs, and taking photos with her many adoring fans. This made it very hard for journalists to have a chat to her and get some end of day quotes. 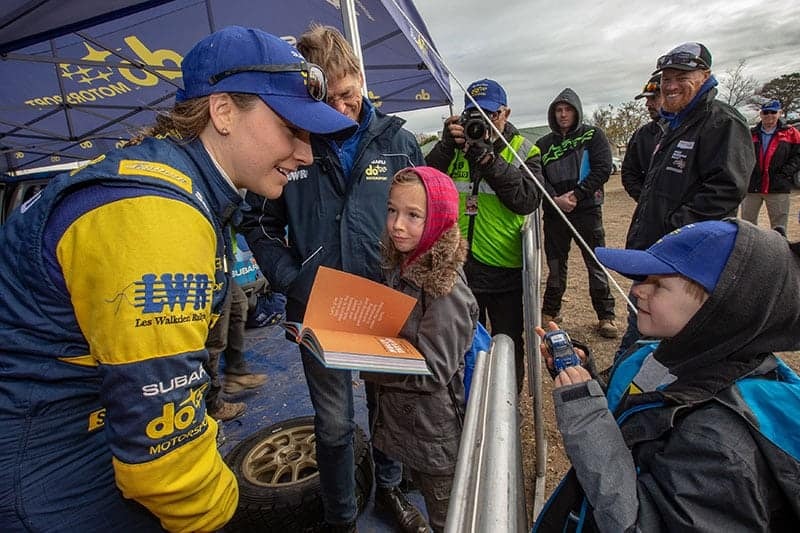 No other team’s service area has the swarm of people around it, and this pays tribute to the way Molly and the Subaru Australia team market themselves. After standing aside and watching the kids speak to Molly, the way she engages the kids is a credit to her, and is further promoting the interest in rallying amongst the younger generation. Molly hams it up with the Subaru mechanics during a recent test session in Tasmania. Now, while Subaru may not be winning, mainly due to being at a disadvantage with their heavier, production spec WRX, I think that Molly’s ability to promote herself and the Subaru brand more than makes up for this. The ARC needs Subaru, and Subaru needs Molly. Here’s to Molly and Subaru being back near the top the ARC field in future events.